If you have ever used self-adhesive stabilizer to hold a towel for embroidery, it may have seemed easy at first. But when you have to remove the self-adhesive, the going gets tough. After removal, you have pulled loops on the back of the towel that look terrible. 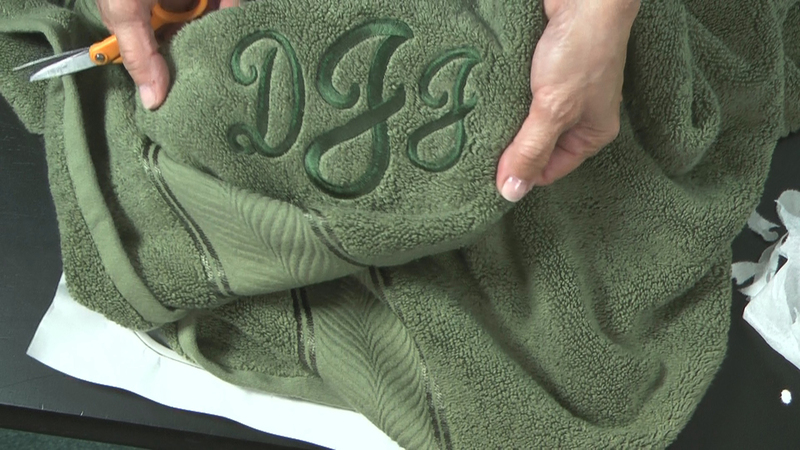 In this video excerpt from my video DVD, Embroidering Terry, Plush and Fleece, I demonstrate how to hold towels easily and with no pulled loops. This is a short excerpt from this video with many more ideas on how to get great results on one of the most frequently embroidered blanks. After watching it, you can click on the link below to view the DVD product with lots more tips for embroidering any plush textured material. Thank-you for sharing this very important tip.